A gift that makes you feel excited, eager, alive, truly fulfilled and #blessed beyond imagination. Instead of the Christmas gifts that crowd our homes, and leave us feeling a little “empty”, treat yourself (or let others treat you) to this transformational gift to help transform your life and business in 2017. Yes Ann,I want the gift of the Business Growth! The gift of education, innovation, growth, profitability mentorship, support, guidance and above all…. 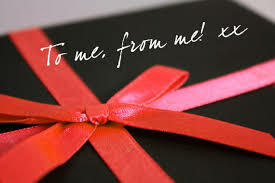 The gift of self + business transformation. PLUS- if you sign up during the month of December, you will also receive an-hour business audit bonus to speed up your transformation. Here’s to giving a little something to yourself this holiday season. The most meaningful gift of all. We talked a lot about it but make 2017 make it happen! !